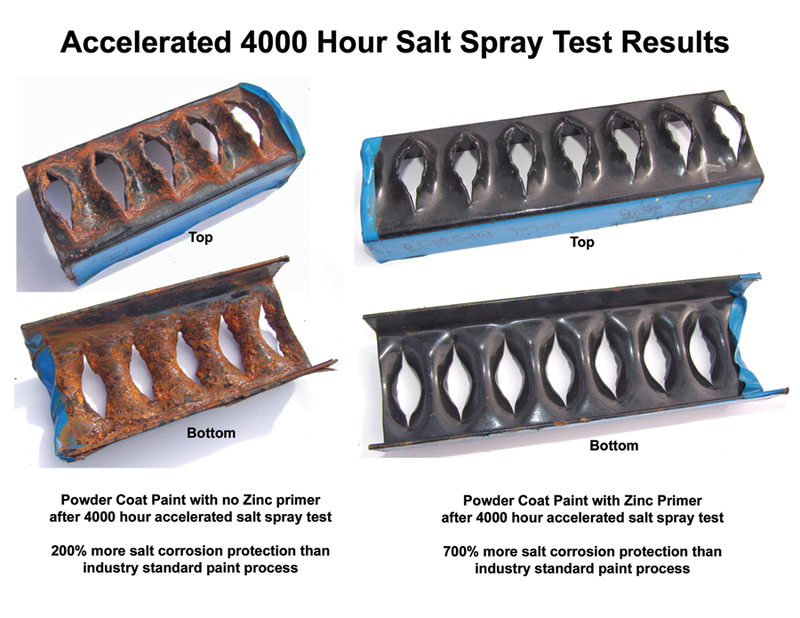 Champion's Powder Coat paint and optional primer have been subjected to both scientifically controlled lab tests as well as real-life field tests. The images below illustrate the effectiveness of Champion's paint and primer in protecting steel against the harshest of environments. Field tests conducted in 2010 confirmed the lab results. Champion's powder paint is proven to be 200% more corrosive resistant than standard paint process, while the combination of powder coat paint and optional zinc primer provided 700% more corrosive protection.